Julie Robinson studied oboe at Birmingham School Of Music (now Conservatoire) with Antony Miller, continuing with Gordon Hunt in London. Whilst still at college, she won the B.M.I. Recital Prize and Ludlow Philharmonic Concerto Competition. Julie has a very varied career and is principal oboe with Orchestra da Camera. 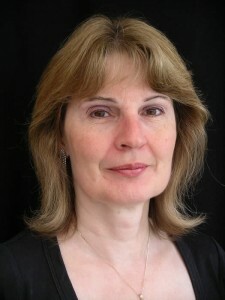 She works mainly with English Serenata and has appeared with other chamber groups including the Medici String Quartet. She has also performed as principal oboe / cor anglais with many orchestras and theatre companies, including the City of Birmingham Symphony Orchestra and the Royal Shakespeare Theatre. As a soloist, she has performed recitals and concertos in Britain and abroad. She enjoys playing light music. In this capacity, she has been soloist on several albums and has recorded for B.B.C. radios 3 and 4 with some of Britains leading jazz musicians in New Perspectives, an innovative big band which incorporates classical instrumentalists. A multitude of other recordings include radio and television broadcasts, C.D. and film sessions. She has also featured as soloist with the Charlie Watts Quintet recorded live at Ronnie Scott’s Jazz Club.